The Cross as it is known today was one of several mills built alongside the River Gynack in the late 19th century. Originally it was a water tweed mill but probably changed from weaving tweed to providing a finishing process using materials supplied by other local weavers. 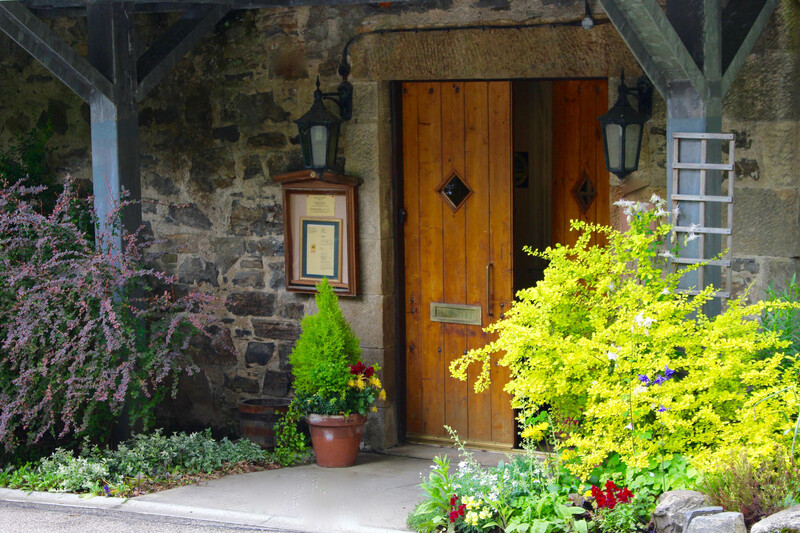 It was converted in the early 1990s to a restaurant with rooms and has a wonderful charm which we’re delighted to hear guests often commenting on. Our Scottish haven is nestled beside the river and amongst the trees where wildlife abounds and red squirrels and roe dear are frequent visitors. Many of our eight bedrooms have recently been refurbished with contemporary furnishings using soft colours inspired from the hills around us. Each room is well equipped with luxury cotton bed linen, fluffy towels and Scottish toiletries.